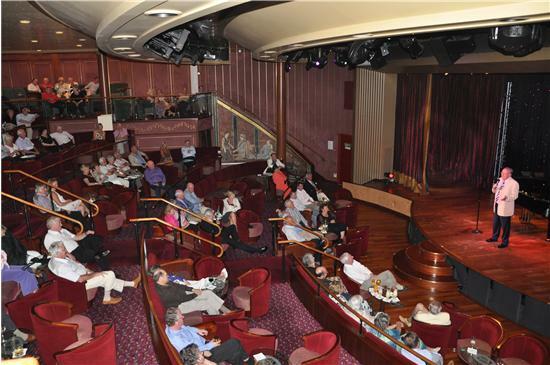 Bob performing in the theatre on board the Silver Wind. As a “clean” performer Bob has been hugely popular with all types of audiences from clubs and associations and professional bodies to major corporate clients – see a sample by clicking here. 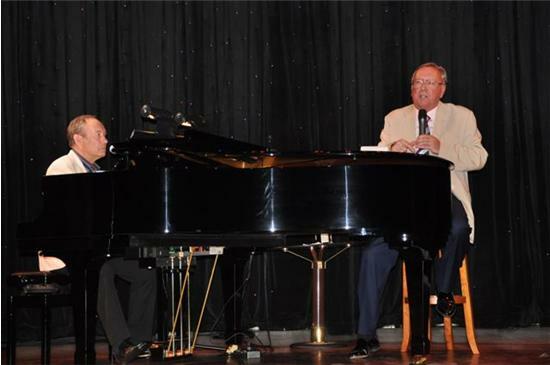 He has performed the length and breadth of the UK and Ireland and travelled extensively. In 2009 he was in Bahrain, Grenada, Thailand, Singapore and on board a Silver Seas ship in the West Indies. Bob and Laura meet a new fan 'Down Under'. I had the pleasure of watching you in Bahrain recently. You were hilarious and cheered me up no end. Bob first worked in Australia in 1986 and has performed there regularly ever since. In 2007 he worked there during Australia during the Ashes series and was so successful that he was flown back later in the year to work at a series of functions around Aussie Rules Final.